As families begin to confront the decisions involved in how to best care for a loved one who no longer is able to live alone, who requires assistance with daily living, or requires medical care, family relationships are becoming increasingly strained. According to Susan Butterwick, Esq, Directing Attorney for caregiver mediation projects for the Center for Social Gerontology, Ann Arbor, MI. ; mediator and mediation trainer, "this is one of the most difficult dilemmas our society, families, caregivers and elders face. Families often find themselves on opposing sides in a courtroom involved in contested litigation over how best to care for a loved one." Indeed, today family conflict is not uncommon - especially when care needs are great. This is the first in a two-part series on mediation. What mediation means, how the parties in the mediation process resolve conflict, the value of mediation will be presented along with helpful websites to access. A follow-up sequel (Spring 2003 Guide) will explore the specialization family caregiver mediation and explain how this process helps to salvage precious family ties while coping with caregiving issues for a parent or another significant other. Mediation has been recognized in Ohio for over twenty years. It is an informal, confidential process held in a private setting in which a neutral third party (mediator) helps people to better understand their individual interests and needs then to develop and agree on a workable solution to their problem(s). Mediation is different than other alternative dispute resolution processes in the following ways. Usually, a negotiation involves the opposing parties and there is not a neutral third party. Arbitration uses a neutral third party who actually makes the decision on how to resolve the conflict. Litigation is far more expensive and time consuming than mediation and involves a judge who makes the final decisions. According to Butterwick, in litigation and arbitration, there is usually a "WINNER" and a "LOSER." In mediation, however, the goal is for opposing parties to work toward a "win-win" solution; the mediator has no decision-making role in the mediation process. Mediation may be voluntary or court ordered. Butterwick adds, "if it is court ordered, the parties are ordered only to show up for the mediation and the rest of the process is voluntary". It is confidential in either case. The mediation process has several advantages. A main advantage is that the parties retain control over the decision(s) they choose to agree to in writing. Also, results are generally win-win because outcomes fit the needs and interests of the opposing individuals. Because the outcomes also reflect the party's choices and priorities, in turn, there is a higher level of compliance (80-85%) with the written agreement than with court judgments which according to Butterwick is much lower. The beauty of mediation is that individuals are validated and empowered by the process. The way one sees a deeply felt problem is deemed as equally important as the other's view. The same is true for the options offered for resolving the problem. Anxiety can lessen as the opposing parties are treated and communicated with in a compassionate, courteous, respectful manner. Another plus is that the groundwork is laid for improving the overall relationship as the parties work out their differences with the help of a neutral third party. 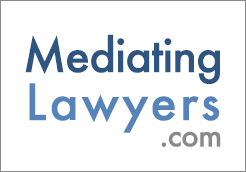 A mediators can be court staff, volunteers at mediation centers, attorneys and private practice mediators Fees can vary widely (see www.mediate.com.) For a Consumer Guide on selecting a mediator see www.state.oh.us / Useful Resources. Topics of disputes are numerous. Some include business, contract, landlord/tenant, property damage, neighbor issues, domestic violence, discrimination and other workplace issues, intellectual property, real estate, personal injury, malpractice, victim- offender, civil rights, special education, divorce, child protection, family issues, and adult guardianship. According to Butterwick, family caregiver mediation is a relatively new outgrowth of adult guardianship mediation being explored and implemented by The Center For Social Gerontology who has found the need for mediating effective solutions to address problems that arise in family caregiver situations is significant. Karen Rice is a gerontologist, mediator and licensed nursing home administrator in private practice in dementia care services.